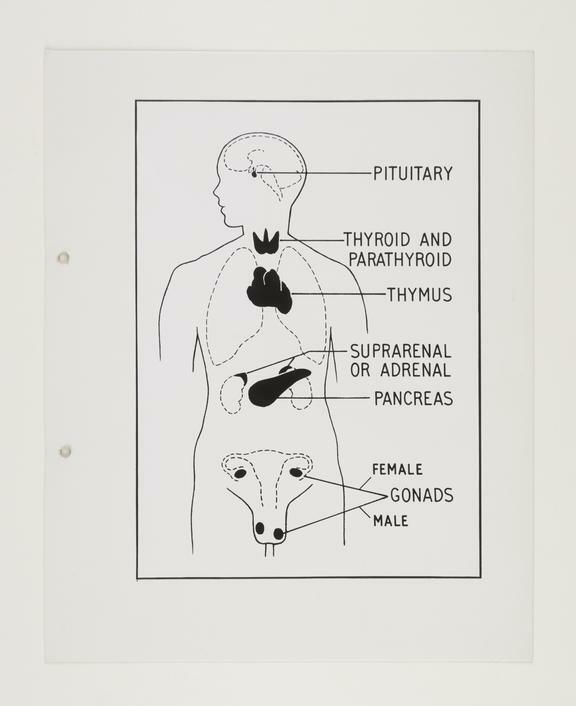 A printed labelled diagram of the endocrine system. Access is given in accordance with the NSMM access policy. 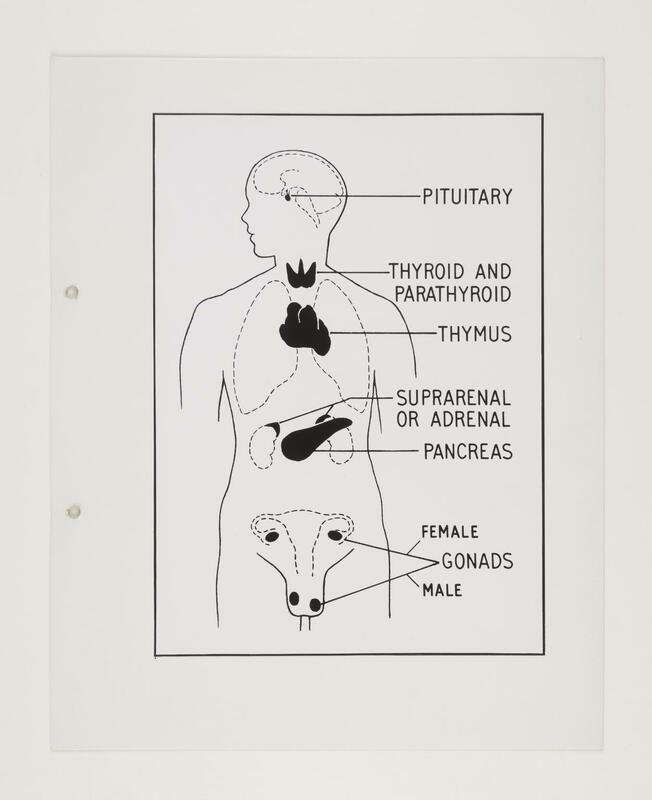 This archive contains medical photography termed as medical records and some other personal data. This series is closed as it contains medical photography with identifying patient data.